NOW ENROLLING for Fall 2019-2020! New Class Offering for 2019-2020! celebrating over 40 years of learning through play! Our kindergarten readiness program embraces the "learn through play" philosophy and is designed specifically for children aged 2 to 5 years. We invite you to use the menu above to explore more. 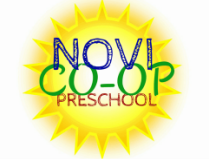 Contact us to schedule a tour or discuss enrollment in the preschool. Click on the link above to see our anniversary article in the Novi News! READERS' CHOICE 2012 WINNER FOR BEST PRESCHOOL!